To truly immerse yourself in a culture, especially one that is far removed from your ow,n is the true definition of traveling. Whether you travel to the exhilarating Machu Pichu or soak up the rays in Turks & Caicos, there’s one factor in vacation destinations that can’t be ignored: the food. Depending on one’s taste buds and food preferences, that can dictate travel excursions. 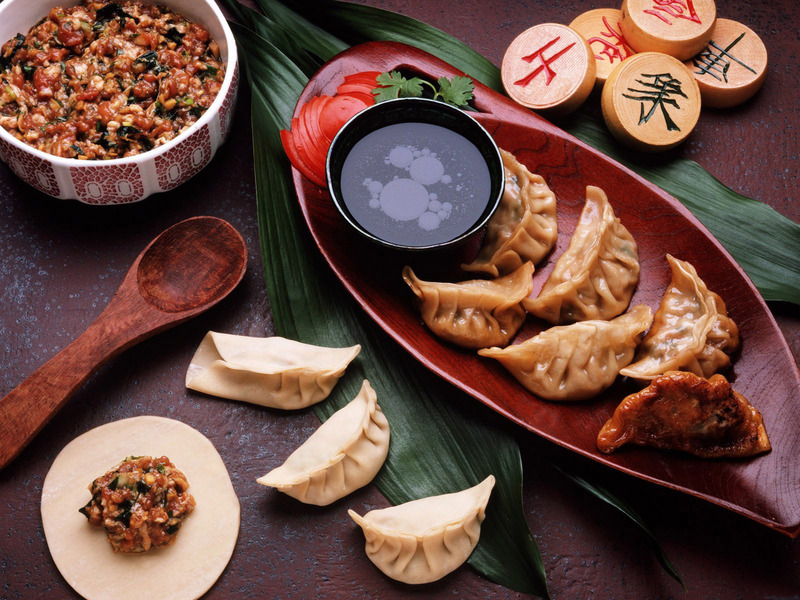 No matter how much you factor in food, China should definitely be at the top of your list of travel destinations! 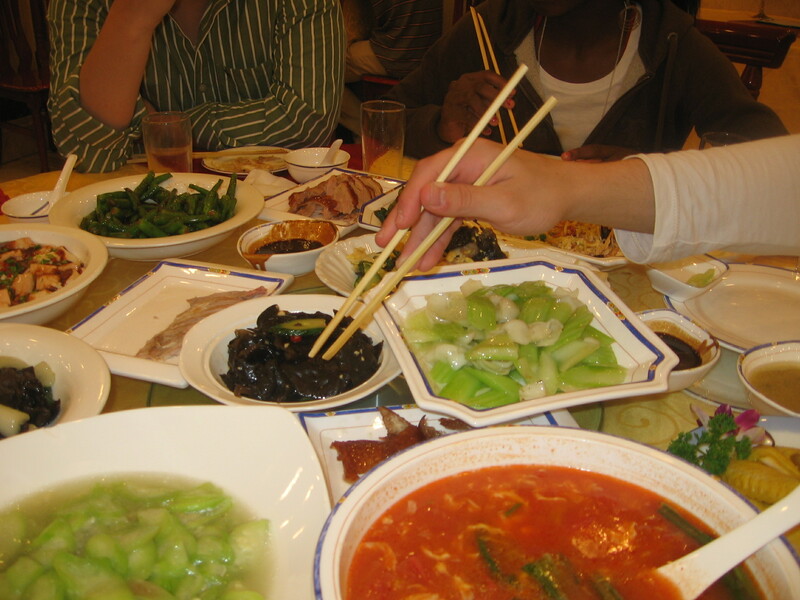 You should head to China with a few ideas of where you want to go and how to best enjoy the food. Although making healthy food choices when traveling is probably not on your radar, you don’t want to end up feeling sick when you are away. You want to feel GREAT so you can enjoy your experience. So let’s review Chinese cuisine! 2. Choose more vegetable dishes. 4. Eat with chopsticks. Not only will it slow down intake, but locals will be more likely to give you menu and meal suggestions when they see you immersing in the culture. 5. Try a bit of everything, but don’t eat everything. Having a couple bites can help limit overindulging while getting the exposure to different flavors. 6. Cold beverages are deemed harmful to digestion of hot foods, so hot tea or hot water are served with meals. Tea is believed to help with the digestion of greasy foods. 7. Food is often prepared and served on small plates, “family style.” Be ready for direct pick-up and communal eating. Desserts are less common, with sweet foods introduced during meal. For example, basi fruit and sizzling sugar-syrup coated fruits are eaten with other savory foods. If dessert is served at the end of the meal, often times it is fresh fruit. 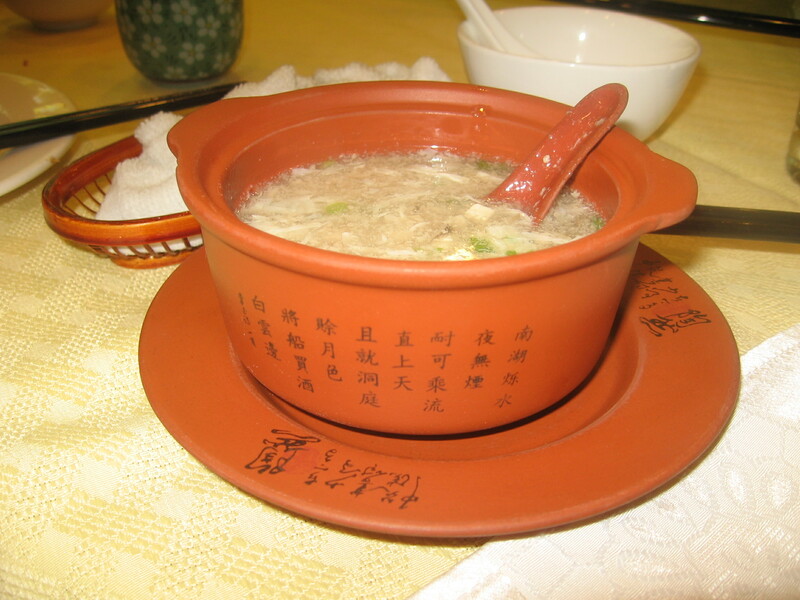 Soup is often served at the end of the meal to satiate appetite. For any of you that have traveled to China, what other tips can you share? It’s hard to give specific “restaurant recommendations” as a lot of the great food is on the street kiosks and depending on what flavors you’re looking to try! Remember, when traveling, go in with an open mind and have fun! What regional cuisines are “must eats” for you? Lisa Stollman, MA, RDN, CDE, CDN is the author of the new e-book The Trim Traveler: How to Eat Healthy and Stay Fit While Traveling Abroad (Nirvana Press 2014) and the widely-acclaimed book The Teen Eating Manifesto: The Ten Essential Steps to Losing Weight, Looking Great and Getting Healthy (Nirvana Press 2012). Lisa is a nutrition specialist in travel nutrition, weight management and diabetes for teens and adults. She is in private practice with offices in Huntington, NY and the Upper East Side of Manhattan. Contact Lisa at eatwellrd@yahoo.com or for more info: www.lisastollmanrd.com. This blog was written by my nutrition blogger intern and world traveler Nikki Nies.